The American Society for Hematology congress was dominated by CAR-T therapies – their potential new uses, how to manage safety issues and bring these costly cellular treatments to patients. IQVIA’s expert Sari Heitner Enschede MD, haematologist, outlined the latest developments in an interview with pharmaphorum’s Richard Staines. Cutting-edge CAR-T cancer therapies are just beginning to reach patients in the US after approval of products from Novartis and then Gilead in 2017 – so it was these potent, but expensive and challenging to manage therapies that dominated the agenda at this year’s American Society for Hematology (ASH) conference, held in December. Short for Chimeric antigen receptor T-cell therapies, CAR-T involves harvesting a patient’s own T-cells and genetically modifying them to target a specific cancer. They are then infused back into the patient, with sometimes powerful results. Novartis’ CAR-T, Kymriah (tisagenlecleucel) was shown to be capable of noteworthy results, with a multi-centre clinical trial revealing a 3-month remission rate of around 83%. Whilst potentially powerful weapons in the battle against cancer, CAR-T therapy have to be carefully managed throughout the lifecycle – as they can also create challenging side-effects caused by toxicity or cytokine release syndrome (CRS), in addition to neurologic effects. The management of these new treatments was therefore one of the core topics at ASH 2017. IQVIA’s Haematology-Medical Strategy Lead, Sari Heitner Enschede, was at the event and outlined some of the key learnings. There was a session dedicated to how the healthcare system could best manage these side-effects, which require patients to be intensively monitored while they are undergoing their therapy. Doctors, led by Elizabeth Shpall at the University of Texas’ MD Anderson Cancer Centre, have formed a working group called CARTOX to manage how the healthcare system in the US manages these side effects. Shpall’s approach has been influenced by experiences in other therapy areas such as bone marrow transplantation, where patients attend specially-accredited centres that have the equipment and personnel required for safe treatment. She is now setting up a dedicated panel that will certify sites for CAR-T therapy using a similar model. The intensive management and monitoring was estimated to add to costs of up to $475,000 for an infusion of Kymriah. Heitner Enschede commented “It’s going to be interesting to see how this will be addressed. It’s not just the price tag that we all hear about regarding the cost of Kymriah or Yescarta, but the additional hospitalisation costs, which can add another few hundred thousand dollars on top of this“ she said. There was of course clinical trial data from the two approved therapies, plus contenders from Juno and Bluebird Bio that could be next to market if trials progress well. Novartis’ JULIET trial showed that Kymriah could be used in the new indication of relapsed or refractory diffuse large B-cell lymphoma (DLBCL), a tough to treat form of non-Hodgkin lymphoma. This adds to its already-approved use in acute lymphoblastic lymphoma (ALL), and brings it into direct competition with Gilead’s CAR-T, Yescarta (axicabtagene ciloleucel). Kymriah is already under review in the EU, and there was interest in whether regulators sitting on the European Medicines Agency’s CHMP committee will reach the same conclusions as their colleagues at the FDA. Gilead also came armed with 12-month data from its ZUMA-1 study, which showed 42% of patients with DLBCL had an ongoing response, and 40% were in complete response at a median follow-up of 15.4 months1. What also emerged was a pattern in non-responders, linking this to expression of the protein PD-L1 on the surface of cancer cells. This plays a role in suppressing the immune system and preventing it from recognising cancers – and has already been successfully targeted by immunotherapy drugs that are already on the market. The results suggest that combining CAR-T therapies with PD-L1 inhibitors could further improve response rates. The biotech Juno has been playing catch-up with its rivals. Juno dropped its lead candidate JCAR015 last year and switched to an alternative, JCAR017, which according to TRANSCEND trial data shows it did not create the safety issues seen with its predecessor. The data from the pivotal trial of the CD-19 targeting therapy suggest that it could be more tolerable than its already-marketed rivals. While Novartis, Gilead and Juno have opted to target the receptor CD19 with their drugs, rival Bluebird Bio has chosen a different approach with its CAR-T bb2121. This targets B-cell maturation antigen (BCMA) and showed promise in multiple myeloma. The response rate was 94% and there was a 56% complete response rate among a small group of 18 patients in heavily pre-treated cohorts, although three complete responses were unconfirmed at the time of the conference in Atlanta. “Now CAR-T is expanding into other hematologic indications,” said Heitner Enschede. CAR-T therapies were not the only draw at ASH, however. Roche/Abbvie’s venetoclax, produced progression-free survival figures that Heitner Enschede described as impressive when combined with Roche’s rituximab in relapsed or refractory chronic lymphocytic leukaemia (CLL). The MURANO study suggests the drug branded as Venclexta in the US and Venclyxto in Europe could become the next standard of care in CLL. Another small-molecule drug from the Bruton’s kinase inhibitor (BTK) class, AstraZeneca’s Calquence (acalibrutinib) showed some encouraging results in mantle cell lymphoma. The company showcased results from the phase 2 ACE-LY-004 trial, which served as the basis of an accelerated approval from the FDA in October last year. Results after a median follow-up period of 15.2 months showed an 81% overall response rate, a complete response of 40% and a partial response of 41%. 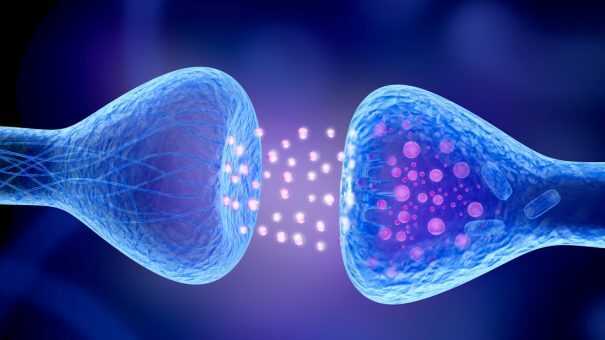 “It’s really good to know that for mantle cell patients who relapse, there is another drug out there that can have durable effects,” said Heitner Enschede. Updated data from Calquence in early CLL trials suggested that the drug could be more tolerable than existing drugs with fewer off-target effects. Bleeding is an issue with Johnson & Johnson/AbbVie’s rival BTK inhibitor Imbruvica (ibrutinib) – but results so far from Calquence suggest that bleeding rates are no higher and could potentially be an improvement. “Maybe it has a better safety profile, it’s too early to say but that’s what is being presented at this time,” said Heitner Enschede. China’s Beigene also impressed with early data from its phase 1 drug BGB 3111, also known as zanubrutinib, in B-cell malignancies, with impressive data for aggressive and indolent lymphomas. This could be a potent BTK inhibitor, according to Heitner Enschede, who noted it is getting attention in mantle cell lymphoma and DLBCL, as well as indolent, marginal and follicular lymphoma. Beigene is prioritising Waldenstrom’s lymphoma and CLL for the drug’s first registration trials, and it too may be less toxic than Ibrutinib as early data shows less off-target activity with a similar level of potency. Spark Therapeutics has made headlines in ophthalmology with its recently-approved Luxturna gene therapy for a rare inherited eye disease – but it could follow this up with a gene therapy for haemophilia B that is beginning to generate interesting early-stage safety and response data. Closer to market in haemophilia A is Biomarin’s valoctocogene roxaparvovec (BMN 270), a therapy that aims to change the treatment paradigm for patients with factor VIII deficiency. In one of the early stage trials presented at ASH BioMarin said the three patients with the longest follow-up (at week 48) have factor VIII activity levels that are in or near to the normal range with both median and mean values of 49%. Heitner Enschede said: “Patients receive an injection and have amazing results in terms of less bleeding and also pretty durable responses.” The therapy is now heading for phase 3 trials. Although CAR-Ts dominated this year’s ASH, small molecule drugs still have a role to play in blood cancer, and gene therapies could start to transform care for diseases such as haemophilia. The field is also fast moving as CAR-Ts are getting approved on the basis of smaller trials, because of the strong efficacy data. It’s therefore hard to predict what will be headlining at the next ASH conference, and scientists’ understanding and perception of these cutting-edge therapies could be very different by the time ASH 2018 opens its doors in San Diego in December. “We are still learning about CAR-T, what we are going to need to know to safely administer it, and how payers and hospitals will provide these ultra-expensive treatments,” Heitner Enschede concluded.